This has been an exciting and enlightening week with many shifts and changes. I have had Source channeling so much wisdom through me in regards to our collective consciousness and what I see as a soul sickness that has become accepted and even celebrated in our society. What I am speaking of is the Lackful consciousness, what is lackful consciousness you may ask? It is the deepest wound of humanity and if it is not addressed and released we as humans will continue to recreate generation after generation of unnecessary suffering and destruction. When we are operating from our ego we are tuning into our reptilian brain, our fight or flight survival instincts take us over. This once served us yet now we have the ability to tune into our Unity consciousness and go higher, when we align with this consciousness miracles truly begin to unfold. For thousands of years we have “survived” on a planet that celebrates competition and a fight for control. Yet these energies never truly bring us a lasting satisfaction, for when ego leads us we will continually fight for control and a need to dominate others. In essence this is the opposite of Love and in order to thrive, to experience miracles, to truly connect deeply with another we must allow ourselves to be vulnerable and allow Love to lead the way. So many humans create unnecessary destruction when they are reacting to a soul level crisis. They are responding to life from fear, and when our response is connected to fear we make all the wrong decisions, we hurt others, we lash out, we dominate, we seek control. Yet every time a human seeks this form of control it is never satisfying or lasting. Like any addiction, the addiction to control and compete is very prominent on our planet. I am amazed at how often we as humans celebrate this insanity and soul sickness. Look around you with WIDE open eyes and you will see it all around you. Humans competing for time, money, energy, attention, fame, gain, and a sense of being superior. It’s so thick we barely question it anymore because it is what we now feel is normal…It is normal to raise our children to compete with other children, to compare the beauty of one another, to try to destroy someone for our own gain, to spread rumors and lies to cause others to doubt humans we wish to harm because we are jealous and competitive…because we are disconnected from our own Source and feeling insecure to the core. And this behavior never serves us, it harms and hurts us and others we project it upon. And if we are not very present and aware we will miss how the misalignment and fear of another can quickly hook us and trigger fear and misalignment with in ourselves. Is anyone awake out there? Is anyone noticing this destructive energy sweeping our minds, our bodies and our planet? Does anyone even care? I know I do! And I truly feel that if enough of us open our eyes and truly see WE will unify and ignite a planetary shift in consciousness that’s time has arrived. I know in my soul and every fiber of my being that we are here to thrive, to Love, to share, to care, to inspire, to play, to express and create! All of these energies flow in great abundance when Love is leading our thoughts, words and choices. 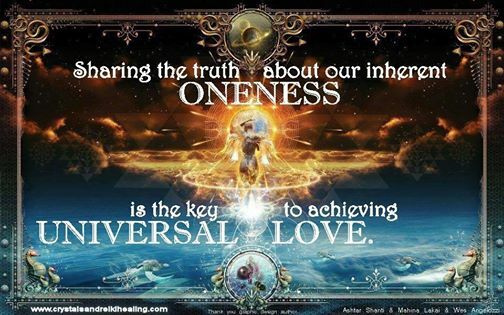 And all of this LOVE stuff must begin with a great inner shift within each and every human. What I refer to as The Self Love Shift! This is what we are all being called to align with at this time in human history. And we must all clear the heaviness and pain of the past, we must all release the ego mind, strip away the need for control and competition and surrender to The infinite and all providing Source. 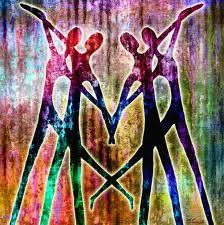 When we align we Know that we are ALL ONE! When another thrives and succeeds we celebrate because we know they mirror our own success. We begin seeing with New eyes, Loving Abundant eyes. If you are currently being led by your ego and you know that. The swiftest way to shift is with your complete honest awareness of what consciousness you are currently identified with. Once we have full awareness true healing and clearing are possible, yet until we allow for awareness we will allow the ego to seduce us again and again. And we will continue to suffer and create suffering for others again and again. Aren’t you DONE with suffering? Wouldn’t you Love to go higher? Wouldn’t you love to experience a great Love and abundant support that surpasses all your logic and understanding? Are you ready to thrive rather than survive? Are you ready to experience miracles beyond your fondest imaginings? Are you ready to have Source bring you everything you truly love and desire? Are you ready to live with freedom and liberation and true power? If you are then the time is NOW! Time to release yourself from the societal pull of competition and control. Time to stand liberated in your power as ONE with Source and each other. Time to take what you need and trust there is more where that came from, and release the need to over consume and over indulge from a fear of lack. This shift must happen within first and soon after you will begin to experience great external shifts as well in all areas of your life. As we simply relax and reconnect to our true Source, we can begin to release all forms of resistance within ourselves and begin to allow the abundant universe to provide for us in perfect balance and harmony. Taking just 10-20 min a day to consciously connect with our breath and release inner resistance will be the most powerful tool you will ever discover. Don’t trust me? Then put it into practice and experience the shift for yourselves. I have experienced absolute miracles in my own life from committing to this daily practice of quiet meditation. It is truly as simple as deep centering calming breaths with the intention to reconnect to your infinite Source of power, wisdom, healing, and solution. As each of us realigns our energies we will begin to Remember who we truly are, Powerful infinite and intelligent beings. When we remember who we are and we are aligned with Source we will thrive, we will trust, we will heal, we will know, we will Unite, and we will co create absolute miracles upon this planet. As I encourage my healing clients and Yoga/Meditation students, Don’t wait another day, don’t wait for your husband or wife or neighbor to do it before you will…Choose NOW, Choose LOVE!